M-Blog 2019 English – Maestrelli s.r.l. Even this year it’s time to go overseas to participate in the 42nd edition of the Clean Show, the premier event for textile. The city hosting it this year, New Orleans, is one of America’s most vibrant and fascinating cities. It is famous for its music, its picturesque carnival and the mysterious aura thanks to its interesting traditions, customs and habits that link the present to the past. The event attracts all facets of the laundering, dry-cleaning, and textile-care industry – from sin gle-owner coin-operated laundry and dry-cleaning establishments to giant, industrial and institutional laundries, and textile service companies. Exhibitors are manufacturers and providers of products, supplies, and services to the industry. Sector operators from all over the world will get together for four days, from 19 until 23 June to discover, admire and compare recent technology, innovative services and products over an exhibit space covering 21,000 sq. m. while 12,000 visitors are expected to attend the show. 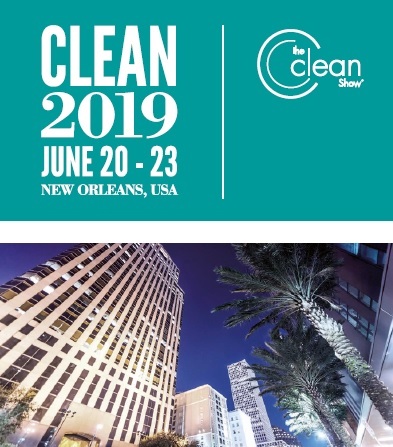 Clean Show will be an overwhelming test bench for the increasingly dry cleaning machines demands with alternative solvents that respond to a strong need to adapt to a market and to international regulations aimed to protect environmental more efficiently. Maestrelli has been focusing for years on alternative solvents for its dry cleaning range of production, hard or soft mounted, with and without distillation since they are the most requested machines by developed markets. The machines are versatile, able to best exploit all the available solvents on the market today (Hydrocarbon, Green Earth, K4, Intense, Sensene, HiGlow, etc.) and to adapt to the new solvents that the market will offer in the future, given the extraordinary efficiency they have shown. 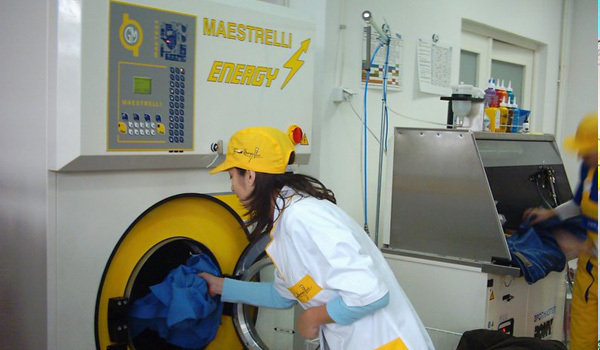 Maestrelli soft mounted machines can complete a washing cycle in less than 45 minutes, while it takes about an hour for the hard mounted models. Currently, The model without distillation which won’t be exposed in the fair, are very attractive due to their low purchase cost and to the low consumption levels of solvent, water and electricity. Having said that, Maestrelli will exibit at the Clean Show with its dry-cleaning Dreamclean HS 350, 15-18 Kg alternative solvent. The Dreamclean HS series start from 15 Kg up to 45 Kg loading capacity. They can use any type of alternative solvent suitable on the market. All soft mounted models use “shock absorber” technology capable to absorbe noise and vibrations efficiently. A technology that is already applied starting from the models with 18 Kg load capacity, despite the major competitors on the market that use soft mounted technology starting from 25 Kg. Moreover, the HS models mount the new, more technological I-Touch computer, with new graphics and enhanced resolution. Equipped with user-friendly information system, integrated with symbology of international undestanding for greater accessibility, they assure greater operability, simplicity and cutting-edge technlogy. Therefore do not hesitate to visit us at our stand 25/37 where we will be happy to show you all the potential of our HS 350 and where we will be happy to answer to all your questions. More often, our sales office workmates relate with customers who start diving into dry-cleaning business for the first time ever. Mostly of the time, they are local supplyers who purchase machines based on projects commissioned by their customers, able to offer a technical service for every situation; from installation to maintenance up to technical assistance for any problems could arise. However sometimes, we have found lack of consideratioon about the complexity and deep respect that must be maintained when dealing with dry-cleaning machines (perchloror, hydrocarbons, with or without still….). It should be noted the management of a dry-cleaning machine is different, more complex than any other machine designed for cleaning clothes such as professional or semi-professional washer extractor (of any speed ). Unfortunately, this kind of distinction is not always clear to those concerned. Therefore dry-cleaning machines are purchased and distributed without proper technical preparation on its correct daily use. For this reason Maestrelli srl provides to its customers daily training courses that take place directly in our headquarters in Bologna, where our technical manager shows the proper use of the machines, as well as all risks may arise from improper and incorrect use of these ever more innovative and complex machines. The courses are provided free of charge and once attended we issue a certificate attesting the course has been completed. Therefore, our advice, before starting a business that is certainly profitable but requires a deep technical preparation, is to be properly informed and contact us to receive all information needed for a proper use and a full customer satisfaction. We at Maestrelli do believe that there are concrete margins of growth for both the industrial and the dry-cleaning laundries and markets, in this field of expertise, are reacting in a different way and in different parts of the world. Worldwide market is complex (we can not hide all of that), from one side cleaning with water is developing and we can surely say that we can now wash with water garments that we would not have washed 10 years ago. From the other side, delicate garments (from silk to leather and suede) and new textiles with plastic or polyurethane inserts demand a higher professionality and competence and need to be dry-cleaned by using new alternative solvents. Maestrelli is growing consistently in India. For example on February 2019, we attended in India by displaying some of our dry-cleaning machines at both Laundrex in Bangalore and Garment Technology Expo (GTE) in Delhi. Well, here a lot of small/medium size laundry shops are now planning and already starting to introduce the dry-cleaning service (often by using alternative solvents) so that they can offer a real complete service, while our local dealer who has always been very much focused on (big) textile industries is now really entering the “retail” sector as he strongly believes that there are huge margins to grow and develop further. But other markets are reacting differently. What about Singapore ? Over there, bigger and bigger industrial laundries are growing and are offering a full laundry service to different chains of hotels at the same time. Until 15/20 years ago, all the big hotels wanted to manage by themselves their own laundry needs by setting-up them in-house laundries within their premises. Nowadays, a specialization is more required, customers are always more demanding and as a consequence, are more and more relying on an outsourcing service for their laundry needs. We can clearly witness this trend by having a look at our sales in Singapore where we provide big size dry-cleaning machines of 30/40kg and even 50kg in some cases. To sum it up, selling a machine (even more true when selling a dry-cleaning machine) means to offer a complete service (a “full package”), technical support advices, to strive to get to understand the real needs of each single customer, to be flexible and offer resistant and really “user-friendly” machines. In few words, we at Maestrelli are sure that we can do that and we are already doing all of that ! Laundries and dry-cleaners, a constantly evolving world that offers fundamental services for families as well as for sectors like health care, tourism, food and restaurants, industry. From the small laundry shops in the neighborhood that meet the requests of single households and families to the big, industrial ones that guarantee the supplies of clean linen to hospitals, restaurants and hotels: laundry and ironing services constitute an important business sector – 3.5 billion euro turnover that is expected to rise, especially as far as industrial laundries go – managed by professionals who work at their best thanks to more and more advanced and “green” technology. Why do we go the dry-cleaner’s? We take our trousers there (59%) as the fabrics they are made of often need to be dry-cleaned, shirts (48%), both a blessing and a curse for every housewife, suits (38%), especially when they are made of fine and delicate fabrics. Obiviously a laundry is not only a shop in the eighborhood that we all have in mind. Industrial laundries in Italy account for 1174 units and they generate 1622 million euro turnover. Some strategic sectors that contribute to the development of our economy relate to them, e.g. restaurants, tourism, public administration (schools, hospitals, canteens … ). 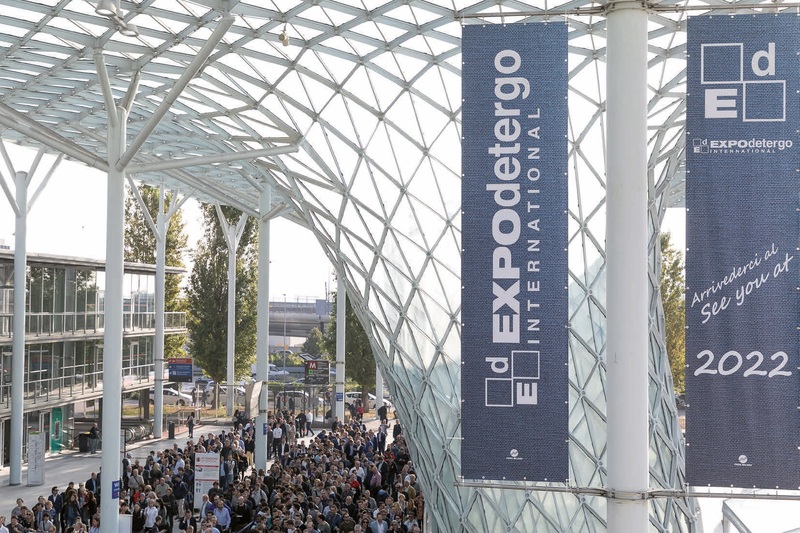 It’s not a surprise during the last Expo Detergo in Milan there has been great attendance, business deals signed, new business, relations built. 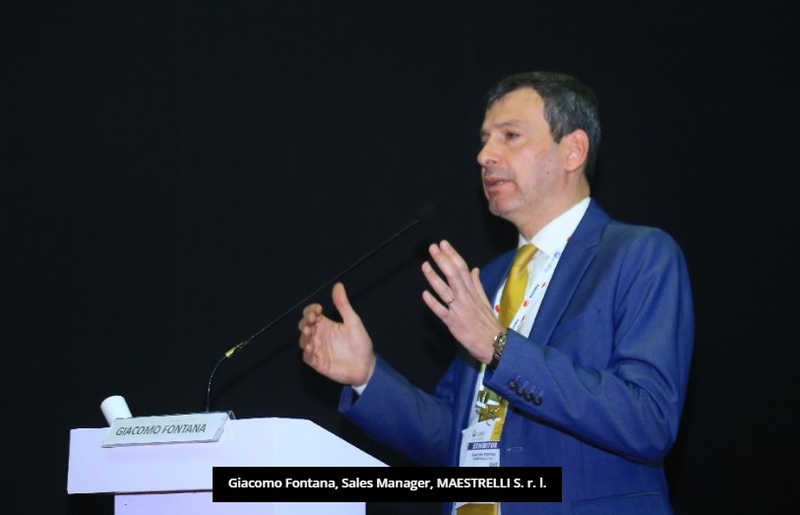 The exhibition revealed itself as an “Event” by all means as it has strongly marked the entire laundry and dry-cleaning sector in terms of business and innovation. During the show, visitors would look for a direct contact with exhibitors as a result of their need to verify the offers tangibly. A clear signal for Maestrelli as well which daily meets and satifies needs of customers spread up araound the world. Customers who become increasingly demanding and experienced given the growing demanding of complex eco-friendly solvents machinery. A great way to start this 2019, which we expect to be full of satisfactions.